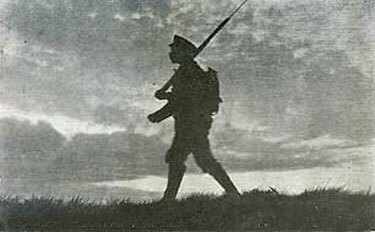 Today is the 90th anniversary of the end of World War I. On the 11th day, of the 11th month, at the 11th hour we effectively ended hostilities on the Western Front, folks packed up their guns and went home for a few years. At the time they thought it best to mark the occasion with a moment of silence — both to honor the dead and say a prayer that it never happened again. Unfortunately, it did happen again, and this time much, much worse. After World War II, the U.S. renamed Armistice Day to Veterans Day and that’s what we’re ‘celebrating’ today. We’ve have nearly 100 of these moments of silence, 90 chances to reflect annually on the cost of war in human lives, and yet in the end it doesn’t seem that the lessons of the great wars have been learned. We’re still fighting wars both literally and figuratively. On this, the 90th such moment of silence, and as a veteran, I will say a small prayer at 11am PST that our leaders can find a different solution to their problems so that my brothers and sisters in Iraq, Afghanistan, and all of the places that they are deployed will come home safe.